1 - What has been the most outrageous party request? What has been the most outrageous party request? If you could have the events of your dreams, what would you ask for? The first port of call for your and your superyacht has to be the renowned party island of Ibiza. 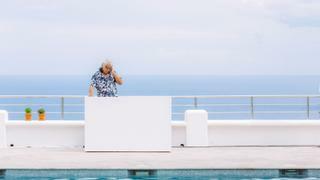 Serena Cook, founder of the Ibiza-based concierge company Deliciously Sorted, shares her wildest requests from clients. What has been the most outrageous party request? Dancing bears and lion cubs for a Cirque Du Freak Party - I said no! Instead we went for more titillating shows rather than live animals. If you could have the events of your dreams, what would you ask for? The first port of call for your and your superyacht has to be the renowned party island of Ibiza. Serena Cook, founder of the Ibiza-based concierge company Deliciously Sorted, shares her wildest requests from clients. What has been the most outrageous party request? Dancing bears and lion cubs for a Cirque Du Freak Party - I said no! Instead we went for more titillating shows rather than live animals. 2 - What is the strangest dish you’ve had to source for an event? What is the strangest dish you’ve had to source for an event? A birthday cake which was the perfect replication of an Hermès Birkin bag for a female client which was flown in on a private jet from London. 3 - Have your parties ever got too wild? Have your parties ever got too wild? Nothing is too wild in Ibiza, to this day parties still go on for 36 hours! The spirit is so fun so no one wants to stop. 4 - What event are you most proud of? What event are you most proud of? Riccardo Tisci’s 40th birthday party. Being asked to do it in the first place was a huge compliment and working with someone who has such incredible taste and aesthetics was amazing. His guest list was probably the best I’ve ever seen in Ibiza and included Madonna. 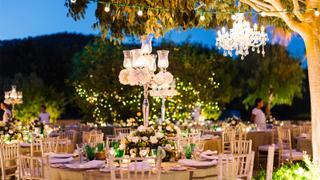 5 - What has been the most lavish event request? What has been the most lavish event request? Using all the white roses in any florist in Ibiza and having to fly a private plane to Barcelona on a Sunday to get some more! We ended up with a bouquet of 1,000 white roses for the party girl. 6 - What is the biggest budget you’ve ever been given for a party? What is the biggest budget you’ve ever been given for a party? I've been given €500,000 for a party before. With this kind of budget you can truly create something spectacular for example, a lavish birthday party (or wedding) on a private island with 500 guests arriving on speedboats. 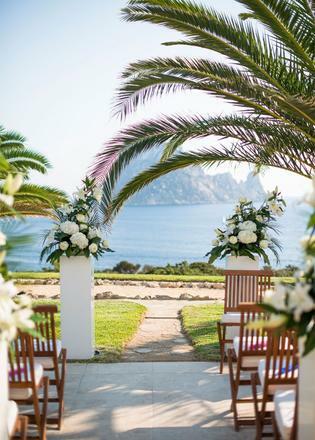 You could fly over a Michelin Star Chef from Italy and serve fresh seafood locally sourced from Ibiza accompanied by Dom Perignon champagne fountains. 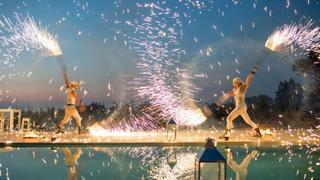 Guests could dance to tracks played by a top DJ followed by a performance from your favourite artist. I've been given €500,000 for a party before. With this kind of budget you can truly create something spectacular for example, a lavish birthday party (or wedding) on a private island with 500 guests arriving on speedboats. You could fly over a Michelin Star Chef from Italy and serve fresh seafood locally sourced from Ibiza accompanied by Dom Perignon champagne fountains. 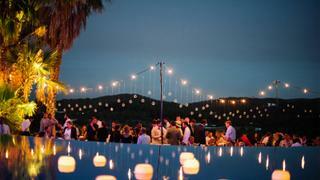 Guests could dance to tracks played by a top DJ followed by a performance from your favourite artist. 7 - What is the craziest theme you’ve ever done for an event? What is the craziest theme you’ve ever done for an event? Cirque Du Freak – everything was themed! Decoration, style and concept are extremely important to us. If we have a theme, we pay attention to every fine detail to make sure absolutely everything is spot on. The Cirque Du Freak event had personalised entertainment, decorations, music, menus, gifts, cake, flowers and napkins. We projected footage from circus’ in the 1920s around the event and even the staff had themed uniforms.